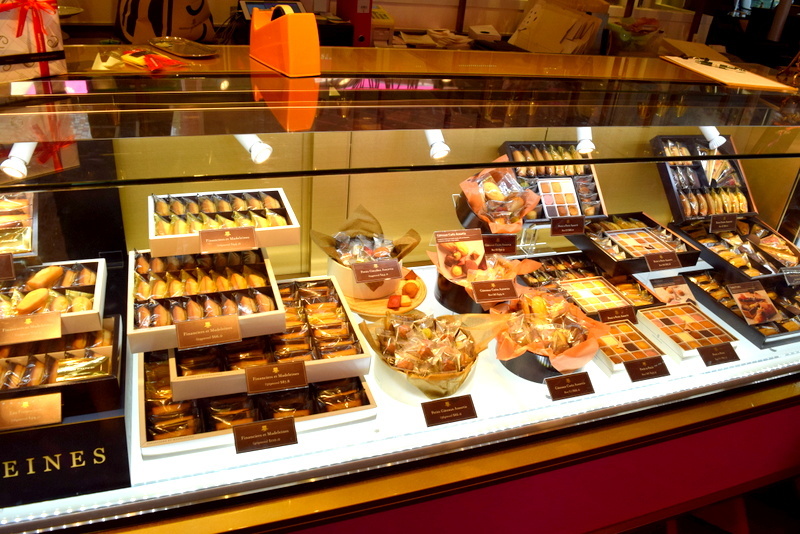 Henri Charpentier – Hailing from Ginza Tokyo – Simply foodolicious! おいしい! 好吃! 맛있는! délicieux! delicioso! 好食! Yes that’s the new big patisserie kid on the block! 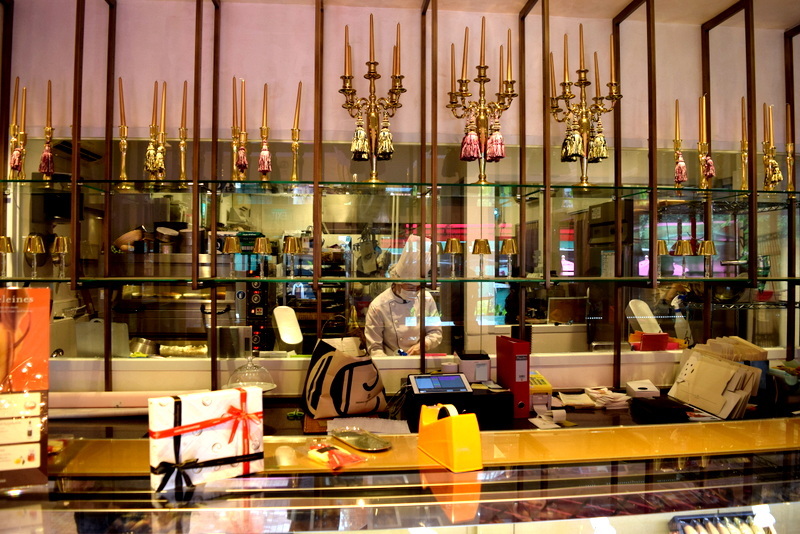 Hailing from Ginza Tokyo, Henri Charpentier has finally set up her first overseas branch in nowhere else but Singapore. It is going to be a strong competitor in the patisserie industry I feel and definitely would step up the game for most patisserie shops over here. What a grand view of the kitchen. Replicating the Ginza restaurant, the Dempsey Henri Charpentier not only serves the usual elegant cakes and French madeleine or pastries, they also serve really exorbitant fanciful desserts and mains in the restaurant. Tried some of the fanciful desserts and the cakes and my take is, go for the cakes unless you don’t mind paying for the fun but not too worthy fanciful desserts. We shall see why. The purplish entrance to the whole restaurant. I was lucky to be here at about 1.15pm when most people are still having their mains elsewhere. By the time we left at 3.15pm, there was a really long queue waiting to be seated. 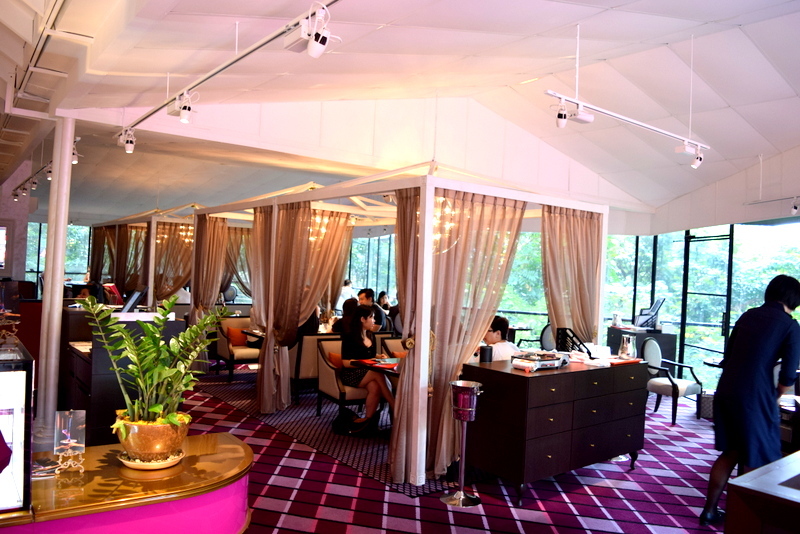 Yeah, and so we got two most popularly ordered desserts, the crepe suzette and the dome. 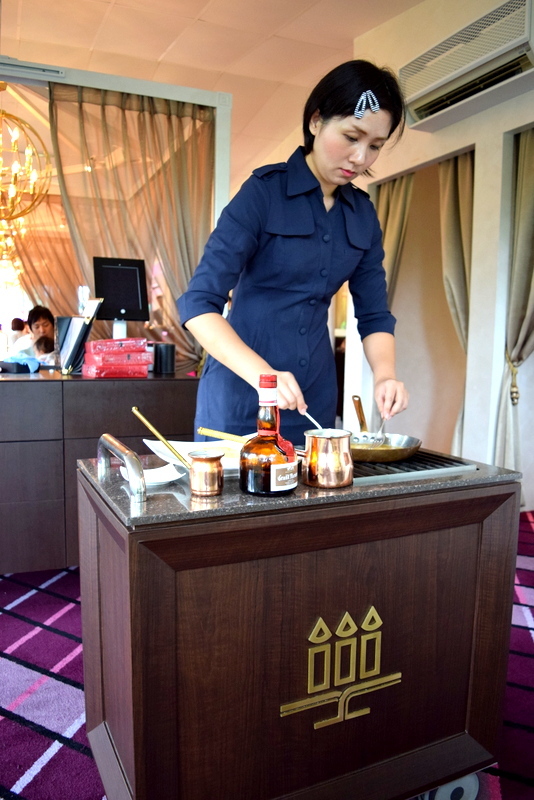 The waitress would cook your dessert in front of you on a stove in melted butter. 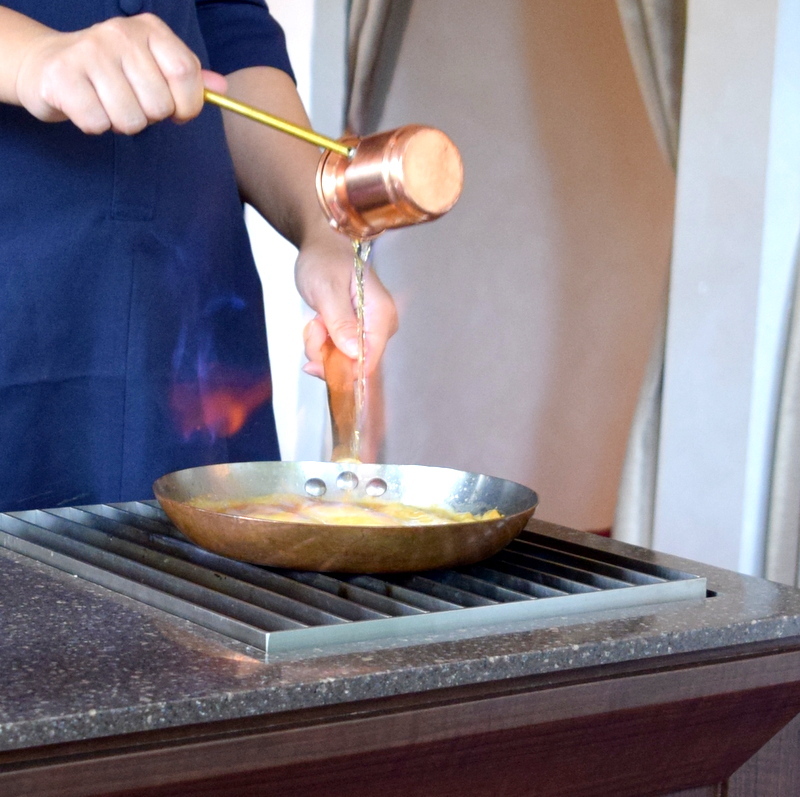 Quite a bit of gimmicks over here and orange cognac is used to soak these crepes at the end. Flame on! when the orange cognac was added. 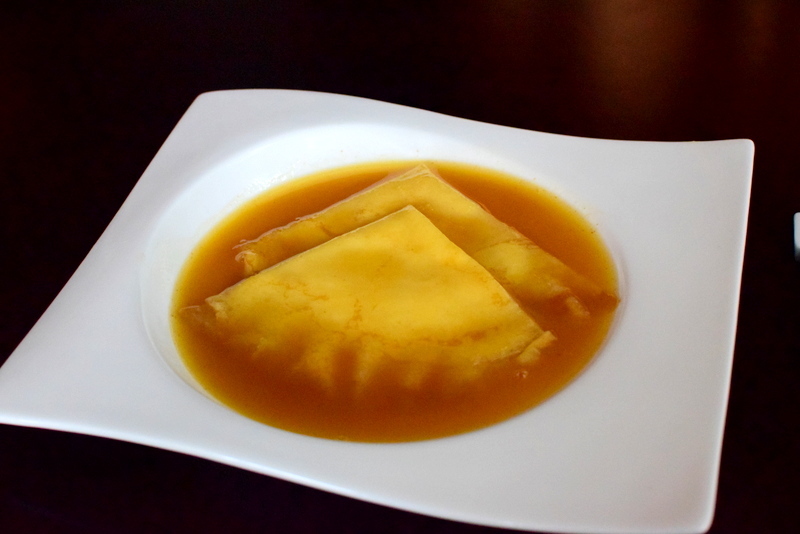 The final product – two pieces of meagre crepe in the orange cognac soup. Indubitably, this is interesting and taste was refreshingly alcoholic but priced at $22, I thought they could add 6 more pieces of crepes in it. haha! That was an exaggeration but yeah 2 pieces is quite a rip off. And the dome which is a must order for liquor fans. Q had a great time eating this as the core was filled with bitter liquor. 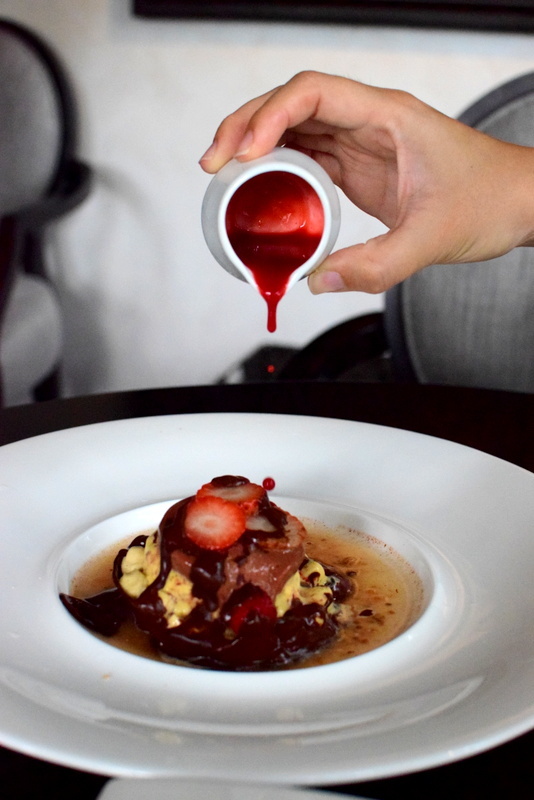 Together with the strawberry sauce, it tasted interesting. 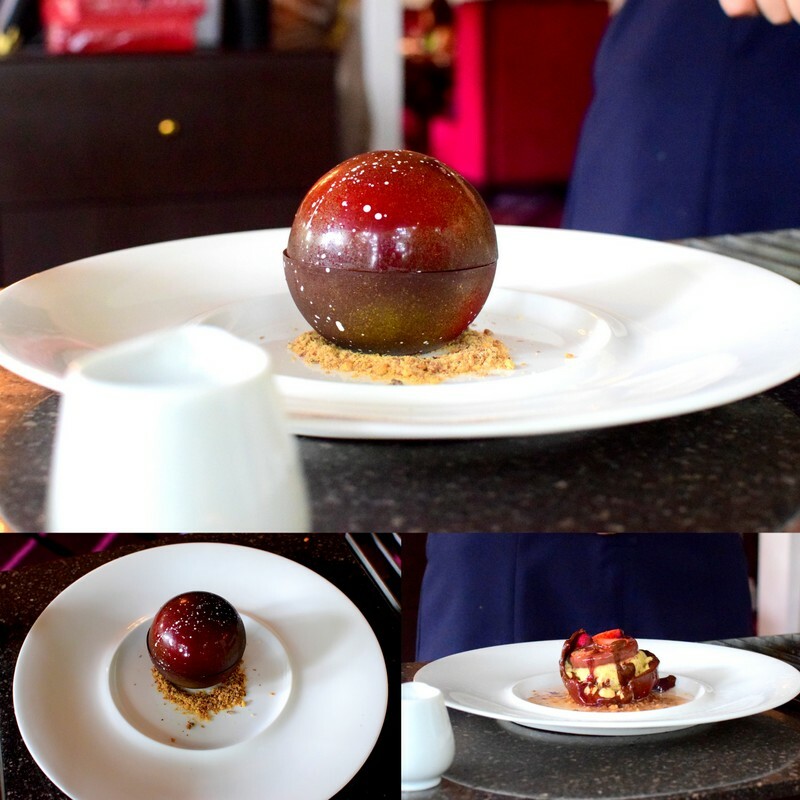 Cold chocolate parfait encapsulated in this dome, it was a delight eating it together with the strong liquor. A pity that I didn’t get to see the flame as we were busy talking away. 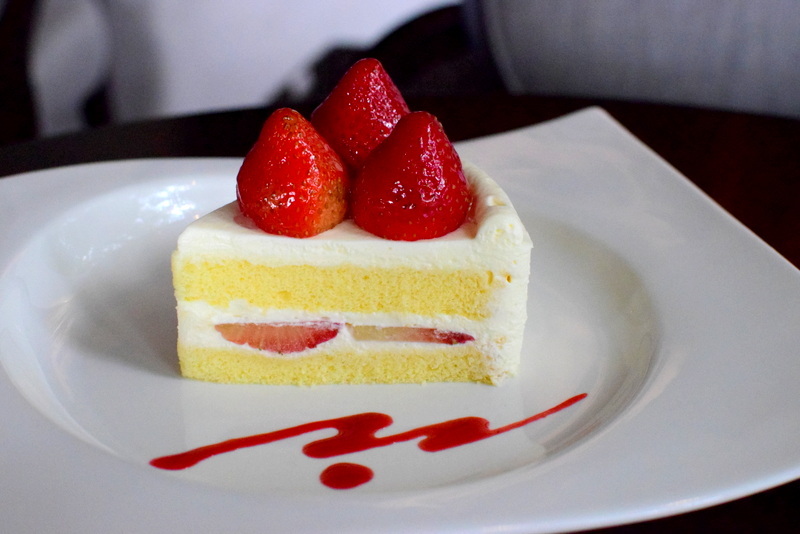 Alright, and for the more delightful desserts, the strawberry shortcake was fluffy and coated with really fresh cream. Strawberries too were sweet as well. 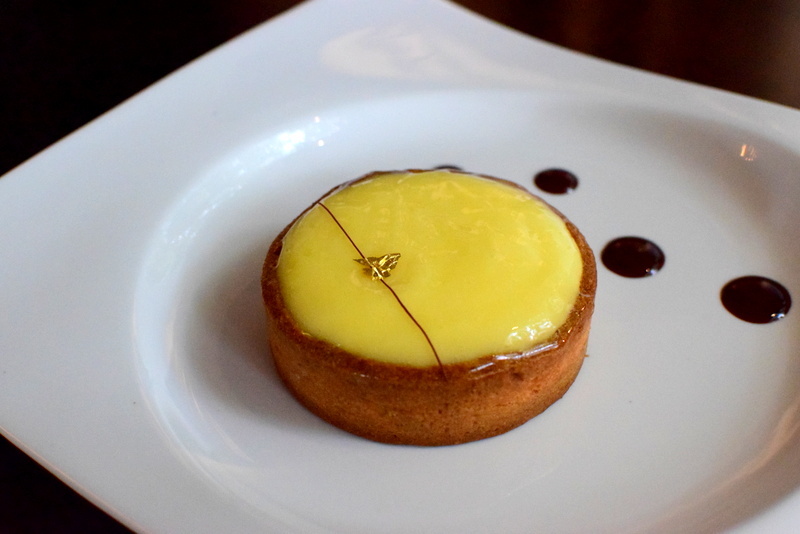 And this lemon tart was my most favourite dessert actually out of all as the curd isn’t eyes-squinting sour and has a very creamy consistency while the tart was fragrant and not tough at all. 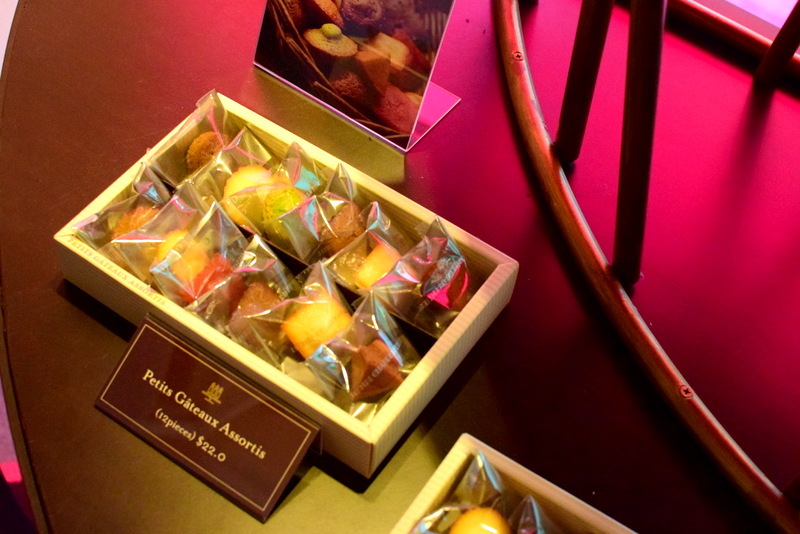 Priced at about $9 for the cakes and tarts, I thought they are more worth of the money. 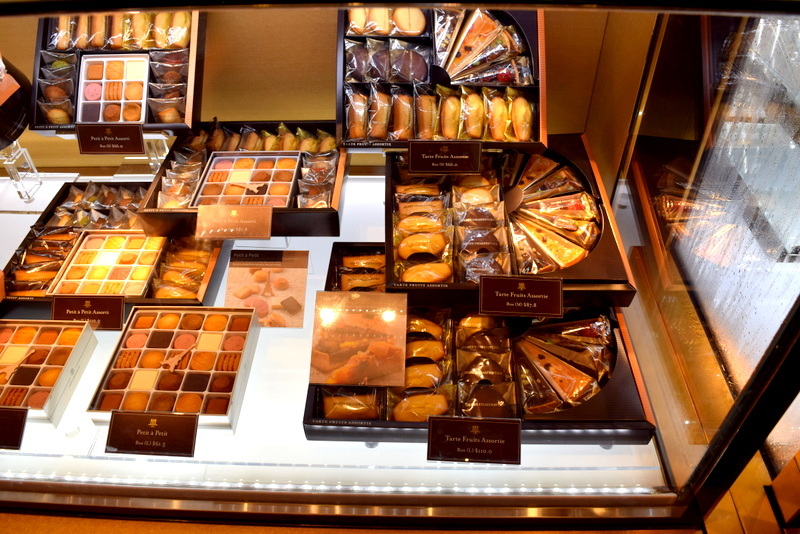 Still, I am pretty impressed with this patisserie place as the usual cakes and tarts are good and it would be more exciting if they were to follow Tokyo’s concept – open more patisserie stalls in the basement of shopping malls. Perhaps Takashimaya or Isetan will be a good start.